Karen Anderson around 1965, from Astrid Anderson’s Facebook post. Karen Anderson has died. 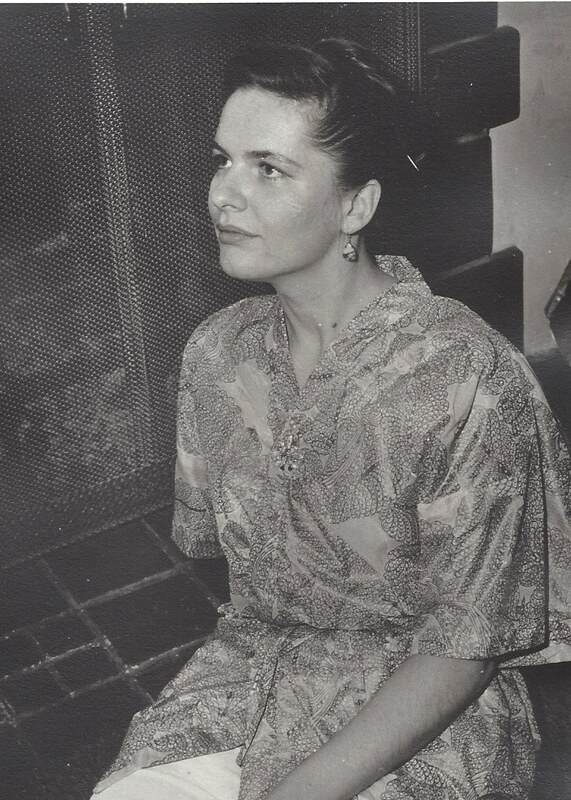 She was the widow of Poul Anderson, and co-authored a number of books with her husband. Anderson is believed to be the first person to use the term “filk music” in print. She was active in costuming. The Andersons’ daughter Astrid Anderson, who is married to SF author Greg Bear, also has been active in costuming. Karen Anderson attended the first LFScon in 2001 in Columbus, Ohio, as part of Marcon, to speak on LFS panels and also to accept the Prometheus Special Lifetime Achievement Award for her ailing husband Poul Anderson, who at the last minute couldn’t make the trip because of illness. “With her personal warmth, big smile, intelligence, insight and broad knowledge and perspective on golden-age sf and the legendary authors who wrote it, Karen made a memorable impression on those who attended LFScon/Marcon,” said Michael Grossberg, who organized the first LFScon in 2001.